Xiamen Zhonghe Industrial Co., Ltd. is a large-scale edible oil processing enterprise in Xiamen. Its first 1,200tpd soybean crushing line was supplied by a foreign engineering company in 2003. This line adopted traditional processing technology with no dehulling and extrusion processes and was thus capable of producing single type of meal. In 2010, to meet market demand, Xiamen Zhonghe decided to expand production capacity by setting up a 2,500tpd crushing line incorporating expansion and dehulling and entrusted Myande to undertake engineering and equipment supply. Since the completion and putting into production of this crushing line at end of November 2011, it has been in continuous and steady operation. All indexes reached advanced level in the industry and the quality of soybean meal ranked among the best in Southern Fujian market, becoming the benchmark of quality in the region. The first production line has basically been idle since November 2011. With the continuous expansion of market demand, Zhonghe decided to request Myande to rebuild its first 1200 tpd crushing line. By dismantling the old equipment and adopting the most advanced technology and equipment, the rebuilding project was carried out in the existing factory and transferred the line into multi-seeds processing. The objective of the rebuilding project was to minimize energy consumption and labor costs, and to increase the capacity from 1,200tpd to 1,800tpd. In October 2017, this reconstruction project was successfully completed and put into production. It has achieved production target, stable operation of equipment and greatly improved product quality and each index, meeting scheduled economic and technical requirement. To save transformation cost, the rebuilding project was carried out in the existing factory. It mainly included dismantling most of the original equipment, increasing production capacity from 1,200tpd to 1,800tpd, upgrading the original single soybean processing line into a multi-seeds line to process soybean and rapeseed. This new production line not only adopts the latest soybean processing technology, but also adds rapeseed processing function. The difficulty of transformation in the original plant far exceeds that of setting up a new plant, and the concrete structure of the original preparation plant brings great difficulty to the transformation. 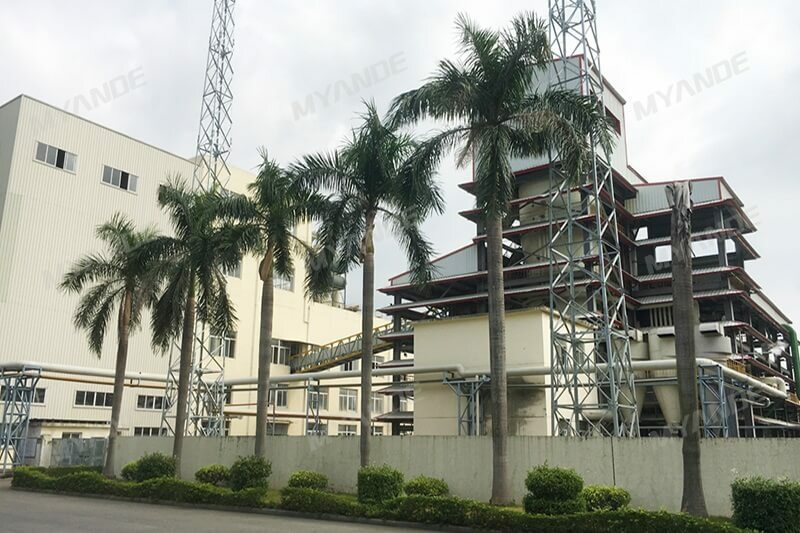 Through detailed measurement and calculation analysis by Myande engineers, the internal structure of the original plant was optimized and transformed without major adjustment, giving full consideration to the smoothness of material flow, ease of operation, security of maintenance and many other factors. After repeated exchanges and discussions with customers, a customized optimal solution was ultimately determined. Under the premise of ensuring reasonable process, multiple factors determine product quality and energy consumption level, such as choice of core equipment with higher quality, material cleaning and softening, cracking and flaking, cooking and extrusion. 1. Improve material cleaning process: Adopting fully enclosed structure, forced separation, cleaning without dead ends, adding double dust removal system without emissions. 2.Improve effect of softening and flaking: Myande new conditioner and flakers come into use in this production line, with optimized heating pipe layout and reasonable internal ventilation structure to ensure material fully softened, to improve softening effect and reduce energy consumption. Meanwhile, taking into account the characteristics of processing soybean and rapeseed, Myande conditioner has features of softening without dead ends, discharging without leakage and so on. Myande new flaker has advantages of high processing capacity, low vibration, low noise and so on. The thickness of flakers can remain about 0.35mm. PLC automatic control system can truly realize automatic control without manual control. 3.Enhance cooking effect to improve pressing quality: The production line adopts Myande new horizontal drum cooker which can roll in 360 degree without a dead angle. Cooking time and discharge temperature can be adjusted as needed. The oil press imported from German has characteristics of large output, low energy consumption, less maintenance, high shear force and so on. Output per oil press can reach 750tpd and life of press bar can reach 36 months.